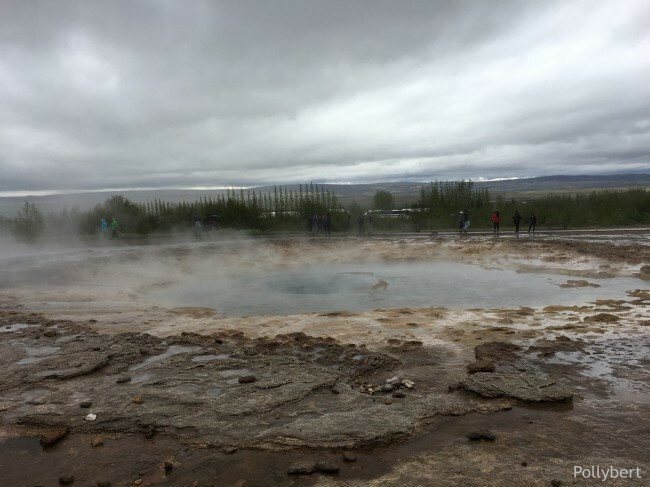 The Golden Circle Tour is the one tour that every tourist will make while on Iceland. So be aware that you will compete with masses of tourists for the perfect picture. In hindsight this tour might have been better done with a car rental. 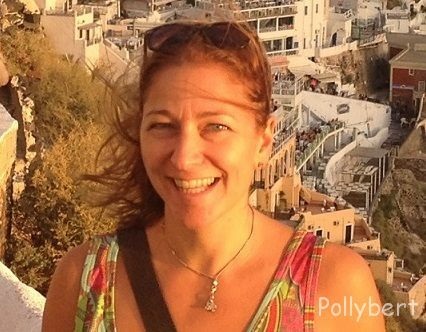 But however you do it, this is the one tour you really have to go on! 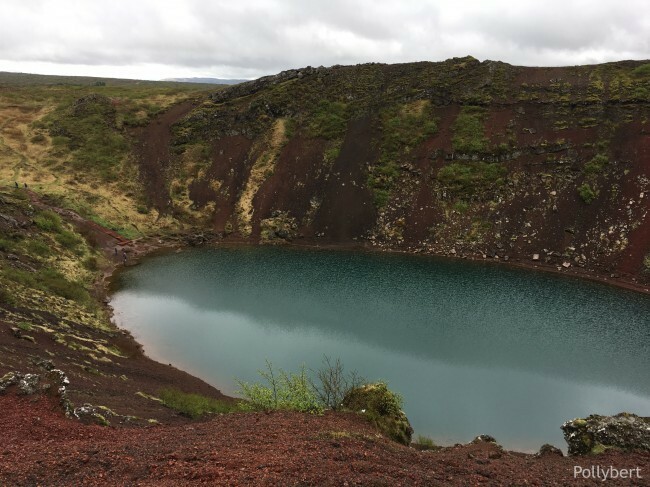 Kerið: a crater lake. One could imagine a bomb was dropped here but of course it formed in a different way. The colors are a showstopper, a green-blue lake in a red basin. Blue sky would have helped for a more vivid effect, but you can’t have it all. 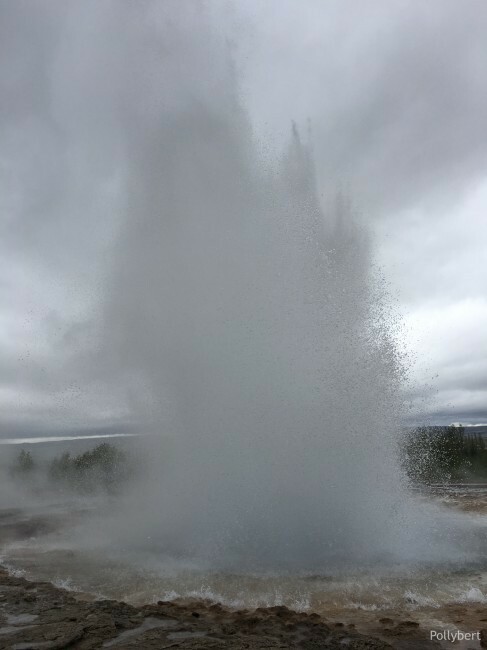 Geyser: also know as The Great Geysir. Ha, just looked that up on Wikipedia. 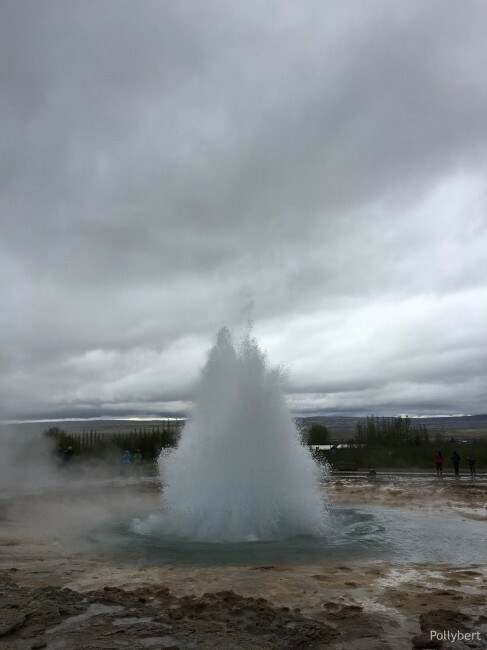 It’s a geo park with lots of geysers and the original one which gave all the others their name. 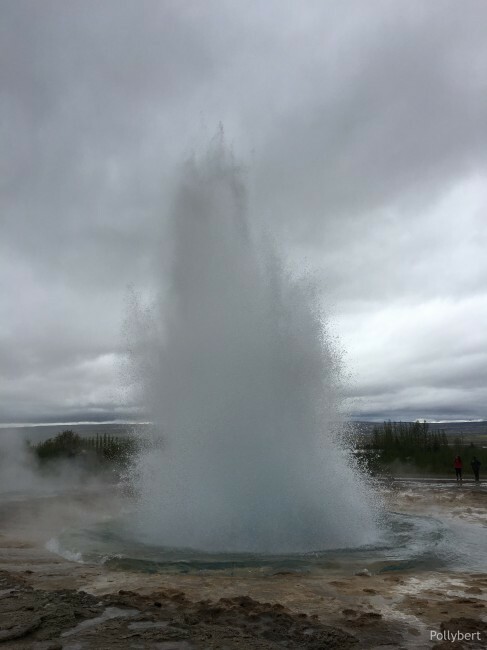 Strokkur is nice enough to erupt often and pushes out a fountain every 3-5 minutes. Definite wow factor! 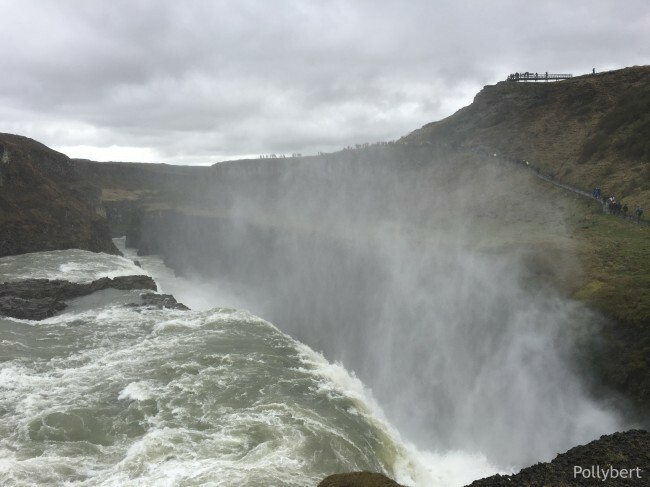 Gulfoss: another wow moment on this Golden Circle tour, no wonder it’s a tourist magnet. The waterfall is just magnificent and falls in two steps down into a deep ravine. There is a permanent mist over everything and I guess with sunshine one can see lots of rainbows. No such luck for us, still the view was perfect. 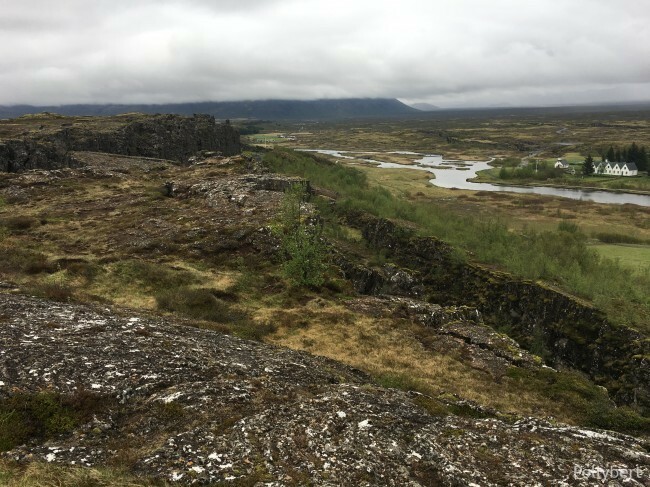 Þingvellir (or Thingvellir): the site of the first parliament and also “a site of historical, cultural, and geological significance” according to Wikipedia. 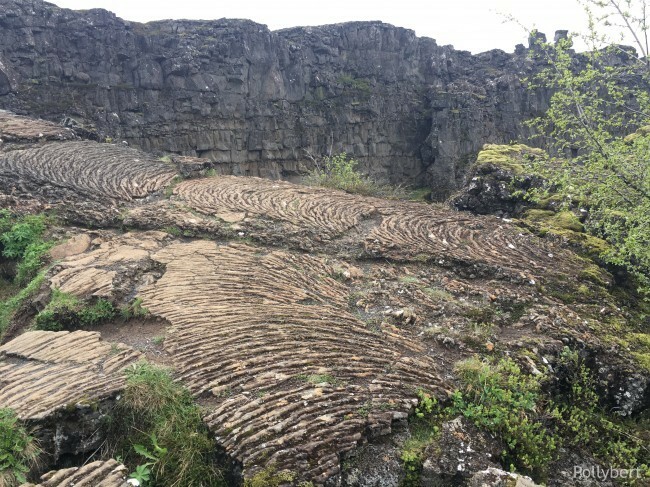 Due to the meeting of two tectonic plates you can have one foot in Europe and the other in America. I am not really sure where the actual parliament was in former times, probably because as usual I couldn’t read the map. But it was somewhere around here. Love the rock formations though, they look pretty cool! 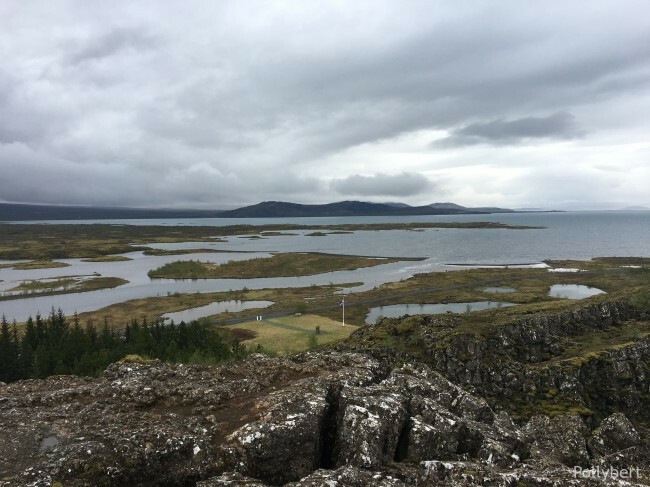 I wish we would have had more time at the Thingvellir National Park. Coming with the afternoon Golden Circle Tour was here definitely a drawback. 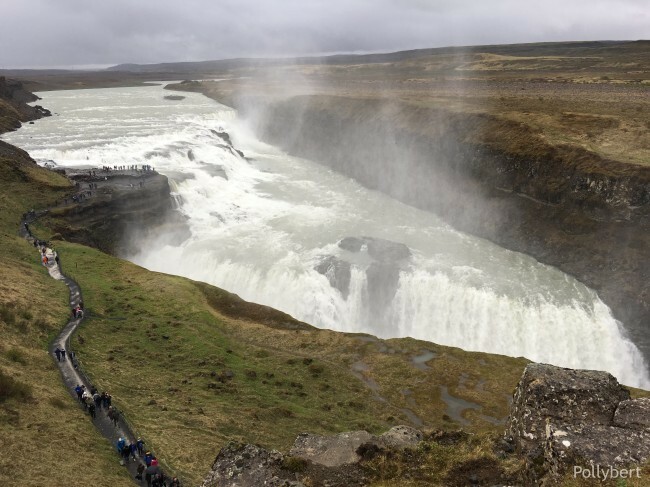 day tour, Europe, Iceland, Reykjavik, sightseeing, travel, travel with friends, traveling Europe. Bookmark.